Here’s a look at our drop of Dr Martens. I won’t lie, they’re Premium line, they’re limited and they don’t look like your old school shoes. Unless of course you were seriously ahead of your time, or you are still at school. Props to ya. 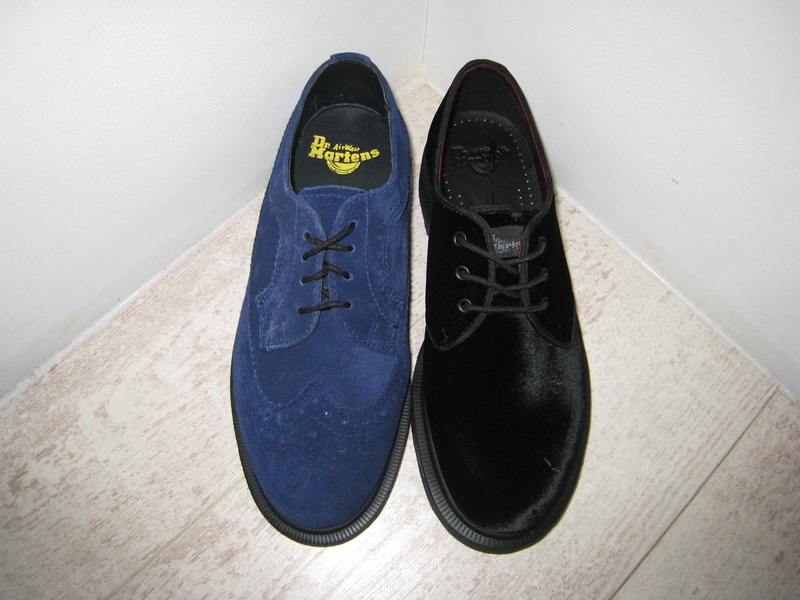 So, there’s the almost Yves Klein blue suede brogues that are an awesome update on the brown leather ones kicking around and a sensible nod to the Teds and the Black Velvet classic 1461 shoe. As my Kiwi compadres would say, sweet as.